Standup paddleboarding in Haleiwa, one of the up and coming water activities in Hawaii. 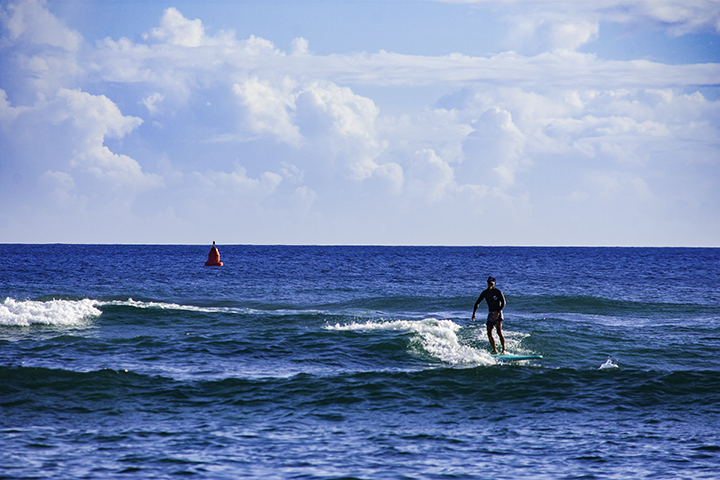 As the Pacific Ocean surround it, there are many water activities in Hawaii that you can participate in. Hawaii’s climate and beautiful ocean waters make it an ocean sports destination like no other. 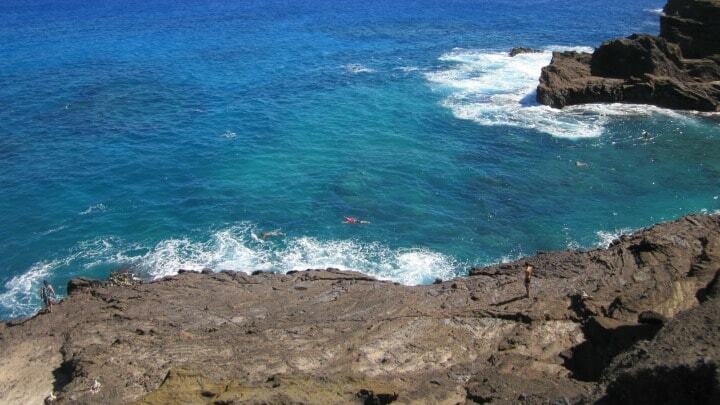 So let’s take a look at some of the most popular water sports in Hawaii. As the birthplace of the sport, it’s no surprise surfing is one of the most popular water activities in Hawaii. Of course, you may not be a surfer when you arrive in Hawaii on a vacation. But there is no reason why you can’t pick up the basics with a few classes. Ideally, you can take lessons in Waikiki where the waves are not too big. The North Shore has the renowned surf spots of Sunset Beach, Banzai Pipeline, Waimea Bay and Chun’s Reef. There are many places to surf on all islands. But here are some of the more popular ones: Honolua Bay on Maui, Hanalei Bay on Kauai and Kealakekua Bay on the Big Island. Standup paddleboarding is now one of the most popular water activities in Hawaii. Perhaps, this is because it’s easier to learn than surfing. Plus, it allows for a leisurely trek across calm ocean waters. But just because it has recently gained popularity, it doesn’t mean that it’s a new sport. Standup paddleboarding is an offshoot of surfing that originated in 16th century Hawaii. Interested in learning more about the Hawaiian language? If so, you should learn the Hawaiian term for standup paddleboarding, hoe he’e nalu. Paddleboarding locations include: Ala Moana Beach in Honolulu, Keahou Bay in Kona, Hanalei River on Kauai and Launiupoko Beach on Maui. Snorkeling off Hawaii’s rugged coastline. A tropical destination, such as Hawaii, is an ideal place for scuba diving and snorkeling. Hawaiian waters offer amazing views and memorable experiences when visitors plunge under the surface. Are the explorer type and want to see what the deep waters of Hawaii have to offer? If so, scuba diving is the way to go. Don’t worry, even if don’t know how to scuba dive, there are plenty of classes you can take. However, if you like to take baby-steps or are accompanied by children, then snorkeling is the better option. Either way, you are in for a real treat. Hawaii’s reefs and coastlines offer a variety of opportunities for great scuba diving or snorkeling. Among the more popular places to scuba dive or snorkel is Hanauma Bay Beach Park on Oahu. As a protected area, you can see lots of undisturbed marine life whether you scuba or snorkel. Another great place is off of Molokini Crater off the southern coast of Maui. A number of dive operators on Maui can take you there for memorable diving experiences. Whether you take a quick trip or want to explore the Na Pali coast, a kayak ride can do the trick. Visitors can hop in a kayak to paddle down a river or even head out into the ocean. All of the islands have a number of companies that offer affordable kayak rentals. Other places to kayak include: Lanikai Beach on windward Oahu, Honolua Bay on Maui and the Wailua River on Kauai. 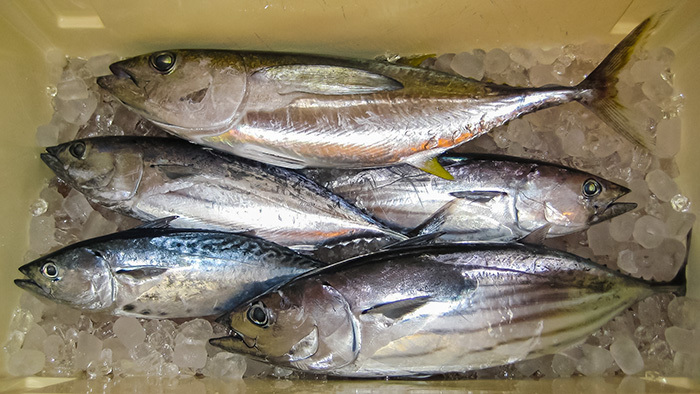 What you can catch deep sea fishing in Hawaii. Hawaii offers some of the best fishing opportunities anywhere in the world. 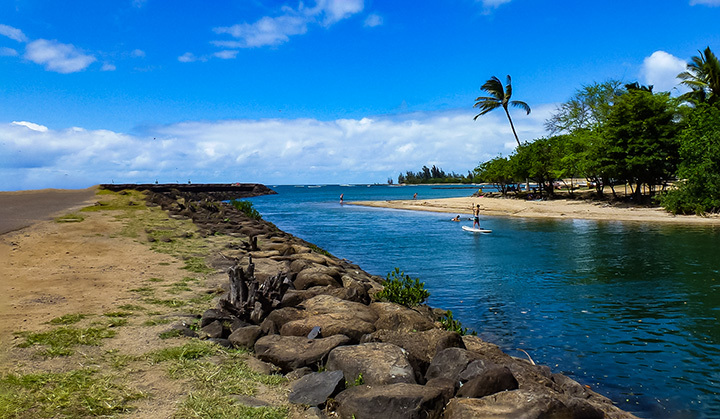 With an abundance of coastline, Hawaii can be a dream-come-true for deep water fishermen. Here, you can catch big game fishes like marlin, ahi (yellowfin tuna), mahimahi (dolphin fish), ono (wahoo) and swordfish. Kona hosts the acclaimed Hawaiian International Billfish Tournament during September of each year. Other places for memorable deep sea fishing experiences include: Kewalo Basin Harbor in Honolulu, Nawiliwili Harbor on Kauai and Ma’alea Harbor on Maui.